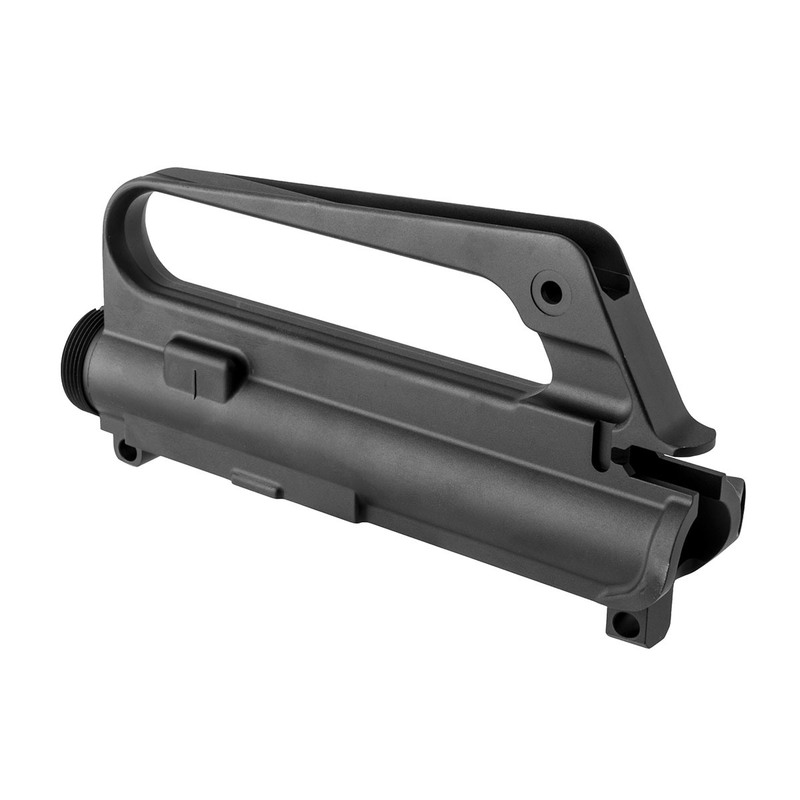 Designed in conjunction with Nodak Spud, the Brownells M16A1 Upper Receiver matches the features of the original M16A1 Receiver. Perfect for a “Retro” or reproduction build, these uppers precisely mirror the original profile. This match is only possible by utilizing forgings with the proper profile built-in. 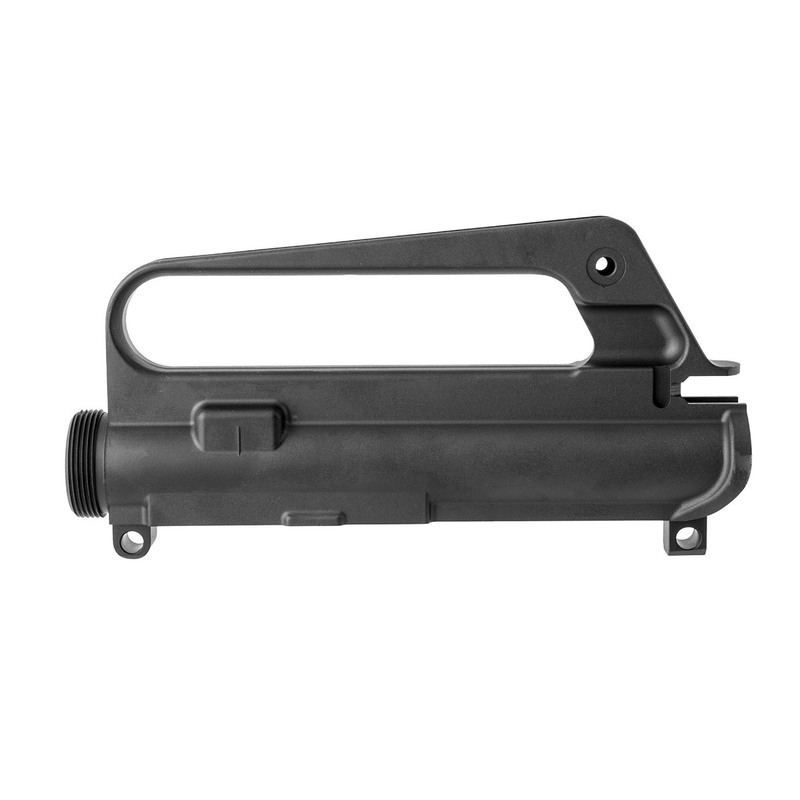 Features specific to the Brownells M16A1 Upper Receiver are the original A1 profile, with no shell deflector, A1 rear sight housing and proper carry handle contours. 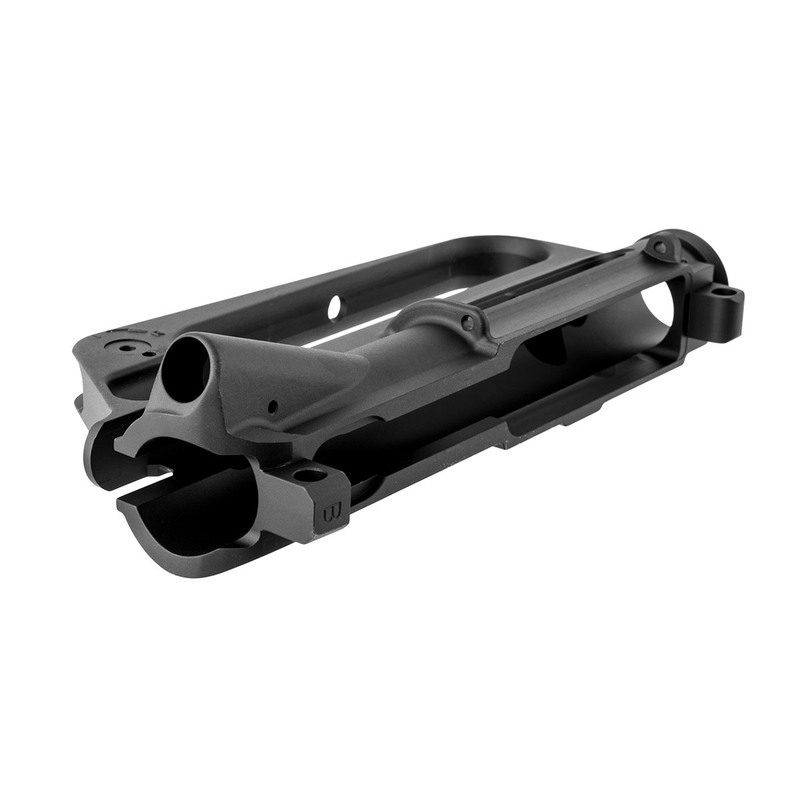 The upper starts off as a 7075 T6 aluminum forging, then is machined to mil-spec dimensions. 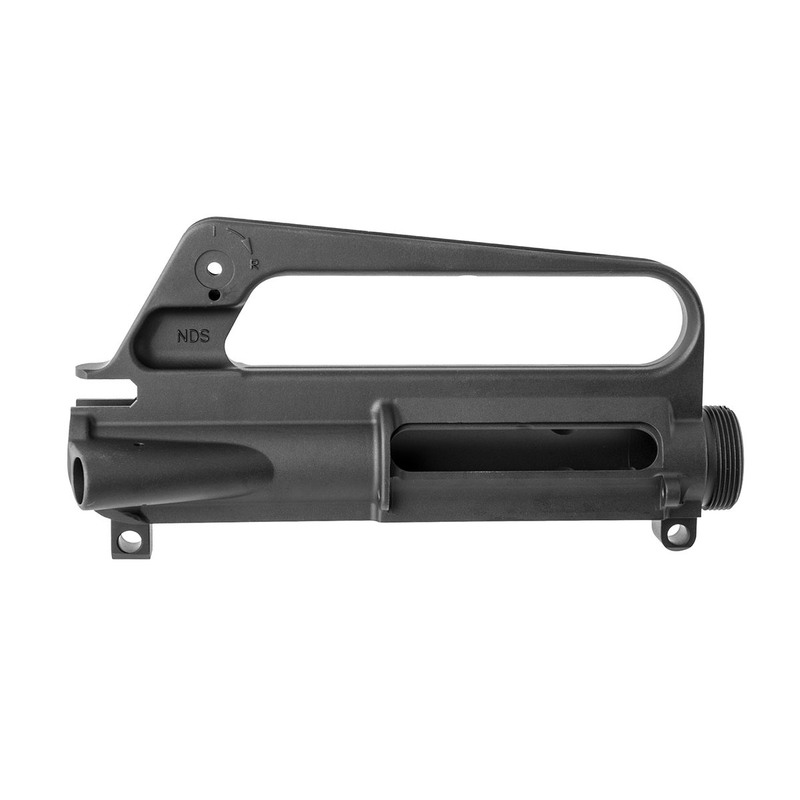 Once machined, the upper is finished with a matte gray or matte black hard anodized finish. The gray finish mimics the original anodizing found on the early rifles. The black finish matches most modern lowers found on the market today, as well as the Brownells BRN-16A1 Lower Receiver sold separately. Upper receiver does NOT have M4 feedramps. Standard AR-15 components will work perfectly with this upper. Upper Receiver is machined & finished to Brownells specification. Nodak Spud does not machine, finish or otherwise manufacture this part. The forging is solely provided to Brownells by Nodak Spud. SPECS: Fits Standard AR-15 components. Finish: Matte black hard anodized. Profile: M16A1. Does NOT have M4 feedramps.